Short-term business travel and understanding which work permits to obtain can be a gray area for global companies. 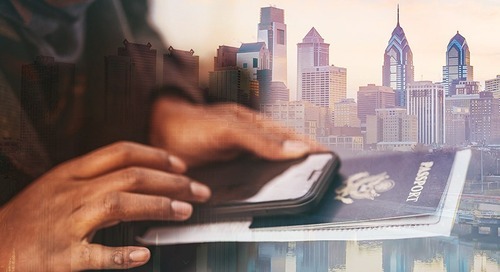 It’s no wonder 33 percent of businesses said that understanding the difference between simple business travel and work permit-required travel was their biggest compliance challenge. That’s what we discovered when we asked 442 HR professionals and hiring managers across a variety of industries for our Global Workforce Mobility Survey 2017. In general, business travel is a general term that applies to employees who travels outside their base locations for business and who are not on a formal assignment or transfer. For this type of travel, determining whether work permits are required depends on the nature of the assignment and its location. Duration can sometimes play a role, but that’s not always the case. A senior manager assigned to engage with the company’s newest office in India, regardless of duration, is required to apply for an employment visa under India’s immigration policies. An employee attending a week-long marketing conference in London must first obtain a business visitor visa to be in compliance with UK immigration laws. A financial auditor traveling to Brazil to gather information as part of an assignment must first apply for a work visa. Considering that there are 196 countries, each with its own distinct set of immigration laws, staying compliant with every international assignment seems daunting but is absolutely necessary. Tapping into expert help – with a legal partner that’s tuned into the diverse and ever-changing landscape of international immigration laws – is one of the best ways to always stay in compliance. For more information on how to stay compliant, watch our webinar, On the Record: Maintaining Immigration Compliance for Your Organization.